Kristallnacht, or “The Night of Broken Glass,” was a planned series of attacks on Jewish synagogues and businesses in Nazi Germany that erupted on the night of November 9-10, 1938. Many historians date this rampage as the beginning of the Shoah (Holocaust). Members of the Transcending Trauma Project will present excerpts from survivor testimony on what they saw and experienced that night. The impact of Kristallnacht and the Holocaust in general on survivor attitudes towards perpetrators will be explored along with the survivors’ search for meaning. Bea Hollander-Goldfein, Ph.D. is the Director of the Transcending Trauma Project, a comprehensive research project investigating coping and adaptation after extreme trauma, at the Council for Relationships (CFR). CFR, the Division of Couple and Family Studies in the Department of Psychiatry and Human Behavior, Jefferson Medical College, Philadelphia, is a non-profit outpatient treatment and training center. 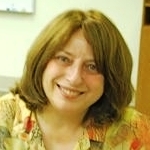 Dr. Hollander-Goldfein is the Director of the AAMFT accredited Post Graduate Certificate Program in Marriage and Family Therapy, the Director of Research, and the Director of Supervision at the Council for Relationships. She is an instructor and supervisor in the Post Graduate Training Program and a Clinical Assistant Professor at Jefferson Medical College. She received her Ph.D. in psychology from Teachers College, Columbia University and subsequently attained certification in Marriage and Family Therapy. Systemic theory has guided her clinical practice and research activities for 30 years. She has presented broadly on the topic of trauma and the importance of an integrated model of coping and adaptation. She has also published in the fields of Marriage and Family Therapy and Trauma Studies. She is the senior author of the book, Transcending Trauma: Survival, Resilience and Clinical Implications in Survivor Families (Routledge, 2012). 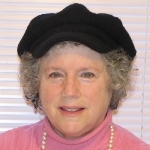 Nancy Isserman, Ph.D. is the Senior Research Fellow, Council for Relationships. Since 1993, Dr. Isserman has been the co-director of the Transcending Trauma Project, a qualitative research project, consisting of in-depth interviews of almost 300 Holocaust survivors and three generations of family members on resilience and coping pre, during and after World War II. She is a co-author of Transcending Trauma: Survival, Resilience, and Clinical Implications in Survivor Families (Routledge, 2012). Dr. Isserman has published articles, book reviews, and co-edited books on topics relating to trauma and Holocaust survivors, the contemporary Jewish experience, marriage and family relationship education, and on tolerance in survivors. Currently, she is also working with the Oral History Division of the Harman Institute of Contemporary Jewry at the Hebrew University of Jerusalem to analyze attitudes towards perpetrators found in the Judith Kestenberg Child Survivor Interviews Archive. Isserman’s PhD from the Graduate Center, City University of New York, “I Harbor No Hate: Tolerance and Intolerance in Holocaust Survivors” received the 2004-2005 Braham Dissertation Award.